Bloomington, Ind. – Today, Cook Group announced the promotion of Allison Giles to vice president of federal and international government affairs. Since 2009, she has served as vice president of federal affairs. Giles will continue leading Cook’s efforts in Washington, DC, and will now also lead the global international government affairs program for Cook Group, the parent company of Cook Medical, and its affiliates. “Since joining Cook nine years ago, Allison has served as an advocate to help patients related to Medicare, and veterans’ health care matters. 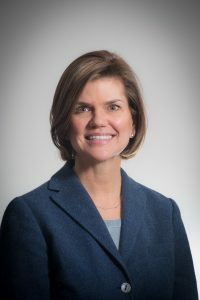 She has also been instrumental in educating policymakers on a variety of topics including the most recent medical device user fee agreement, and issues related to the medical device excise tax,” said Steve Ferguson, chairman of Cook Group. Giles earned a bachelor’s degree in nursing from Boston College and worked for many years as an oncology nurse in Atlanta, Ga., and then in Washington, DC. She earned her law degree in 1991 from Widener University School of Law. In 1992, Giles began a career in government as an attorney at the US Small Business Administration. She joined the staff of the House Ways and Means Health Subcommittee in 1994 and eventually served as chief of staff for the full Ways and Means Committee, the largest committee in the U.S. Congress. Prior to joining Cook, Giles served as a health policy advisor at Quinn Gillespie & Associates, a leading public affairs firm. Giles succeeds Tom Connaughton who established the Cook Group Washington office in 2003. Connaughton will continue to serve as an advisor to Cook’s government affairs programs.